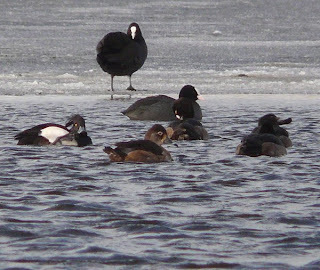 A female ring-necked duck at Bridesness today is a long awaited first record for the island, in the company of 27 pochard and 35 tufted duck. 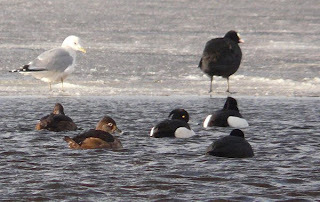 Other sightings include a barnacle goose and 19 redwing on 1st and up to 60 snow bunting. The wintering greylag goose flock peaked at 781, the canada goose remained throughout and the flock was joined by a Greenland white-fronted goose from 18th. 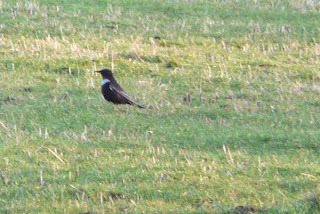 The common buzzard stayed through January and up to 24 fieldfare were present, with a ring ouzel on 17th. Other highlights through the month were woodcock on 3rd, goldfinch on 17th, black redstart on 28th and chaffinch on 31st. 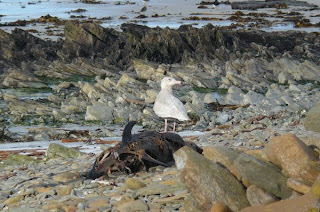 3 different glaucous gulls were seen during the month and at least 1 juvenile iceland gull.